Outfit Post: A CIROC New Year's Eve in D.C. I am the only person who checks their makeup and hair after I get back home from a night of partying? I just want to insure that my look wasn't sabotaged from a night of dancing and perspiration. Just a thought. Anyways, I must say the sequin skirt I picked up from Igigi was quite snazzy. The skirt has great looking sequins & was complete with a non restricting lining. I knew beforehand that I would probably wear this skirt for NYE, so I had it altered a bit. I had the tailor sew up the slit in the back and take in the waist. Please note that this skirt runs big. I ordered a 22/24 and even after taking it in the waist was still a little big. I would recommend ordering one size down. Anyways, my night consisted of partying in the Georgetown area of D.C. with friends. I spent my New Year's Eve at the lounge/restaurant Indulj (prounounced indulge) where I ate, drank, danced and was merry. I am a girl who rarely spends NYE in a club environment. I think I get intimidated from traffic, long lines, etc, but this was actually the most relaxed NYE's as far as the logistics were concerned. I took the subway, when we got to the lounge we were immediately seated, and the night progressed as we engaged in appetizers & spirits. Kudos to my friend who found such a stylish & incredible place to ring in the New Year at the last minute. Also, applause to my waiter, who although was on the tipsy side (which is to be expected), handled a our table & still seemed to have a good time regardless of the fact that he was working. In summary, the place was fabulous, there was a club area upstairs, the DJ was bangin' and I got my party on. I must talk about the official drink for the night. One of my favorite people recommended that sip on a combination of Berry CIROC with a splash of Lemonade. First and foremost, I am a sucker for the CIROC commercials, they are so glamorous. But until this point, I had never tried CIROC. The waiter brought out our first rounds and it was delicious. 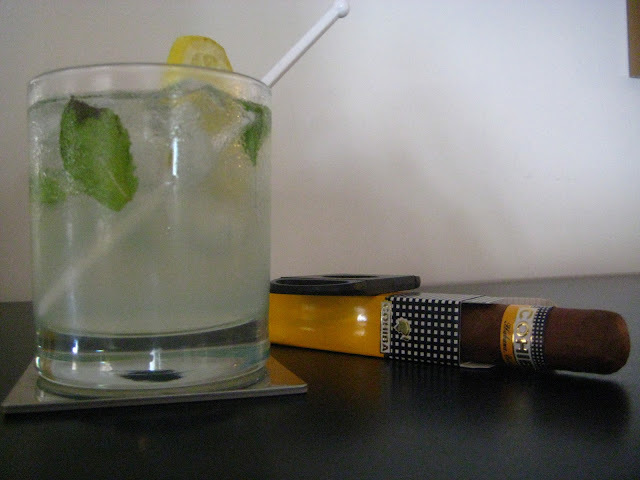 The vodka is smooth & delectable & the lemonade just made it perfect. I think I have found my new favorite drink. Now you may want to know if this drink made me feel like the people in the Sinatra inspired commercial. Yes indeed it did. In my chic NYE attire, I felt dazzling. I am a sucker for a feeling. Sidenote: Mr. Diddy did a fine job of product placement in D.C. CIROC gave out free NYE hats with CIROC on them to all the ladies. I said at dinner, "Look at Diddy's product placement." This literally sparked the whole conversation about the Berry CIROC & lemonade and the next think you knew that was our official drink for the night...LOL. Last, but not least, I wish all my readers a wonderful New Year filled with growth and prosperity. Hello 2012! Happy New Year! You rocked that skirt! You look amazing that skirt is EVERYTHING!!!!!!!!!!!! Very pretty outfit! Sounds like you guys had a great time! OAN: Ciroc is tasty with just about anything you put in it. Love that drink. LOL! Love your look! I love Indulj . . . all the nightspots on that whole strip are great places to go for the young, black and fabulous ;) Happy New Year! You look fabulous!Happy New Year!!! 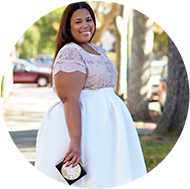 Your sequin skirt is beautiful, but I just can't get over how gorgeous your white top is! Wowza!! It is just so friggin' GAWGEOUS. Great outfit. I'm going to have to try Berry Ciroc and lemonade. I typically steer clear of that Ciroc flavor since I can't find a good chaser for it. You MUST try Coconut Ciroc. It's the BEST! i love this look! you look so 50's glam! pretty, pretty! you look stunning my dear. I am so happy for you.